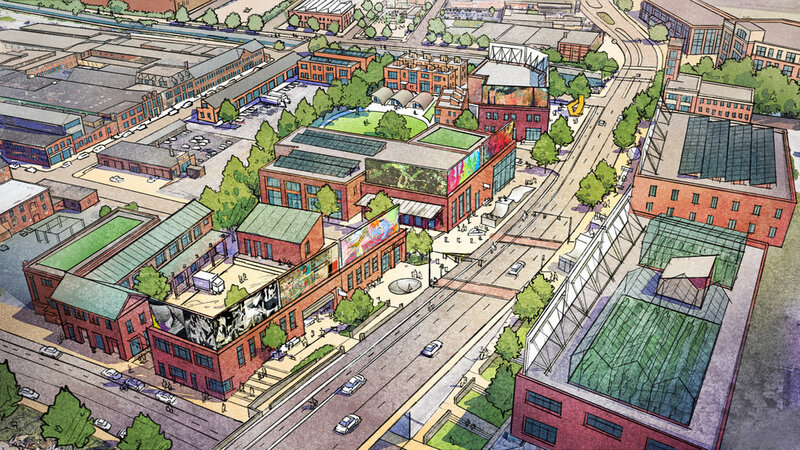 Client Challenge | Principle worked with the City of Providence and the EPA to develop a long term strategic vision for the Woonasquatucket River corridor, including several diverse neighborhoods in an arts-industrial, yet developing section of Providence. Challenges included incorporating several large catalyst brownfield sites into the plans, engaging the community in a dialogue about the future of the area, and planning to keep affordability and industrial character in tact. Team Approach | Principle facilitated engagement with a diverse community of stakeholders during an intensive public process, including public picnics, a weeklong design charrette, and dozens of focus group meetings. During the weeklong design charrette, the team worked in real time with the public to create a cohesive vision for the neighborhood. This iterative process leveraged existing community assets to address effects from land contamination as well as issues such as displacement and preservation of neighborhood identity. 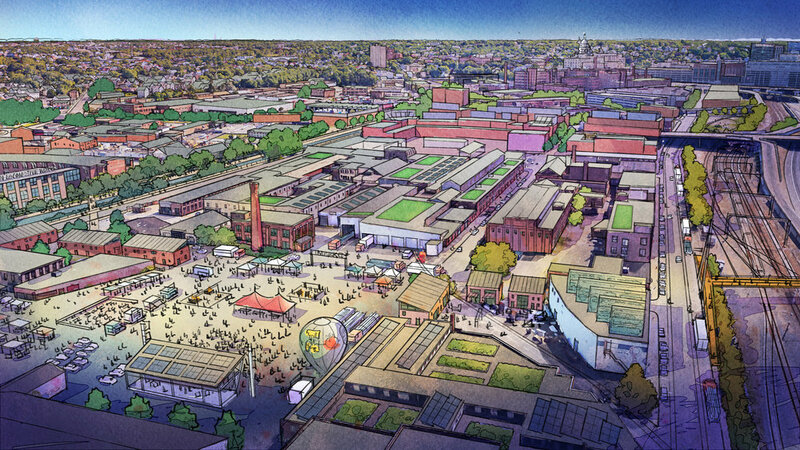 Project Impact | The Woonasquatucket Vision Plan will guide development of industrial sites as well as the City’s capital improvements along Providence’s Woonasquatucket River. The Plan aims to stimulate economic development that benefits neighborhood stakeholders as it strengthens environmental and social resilience. 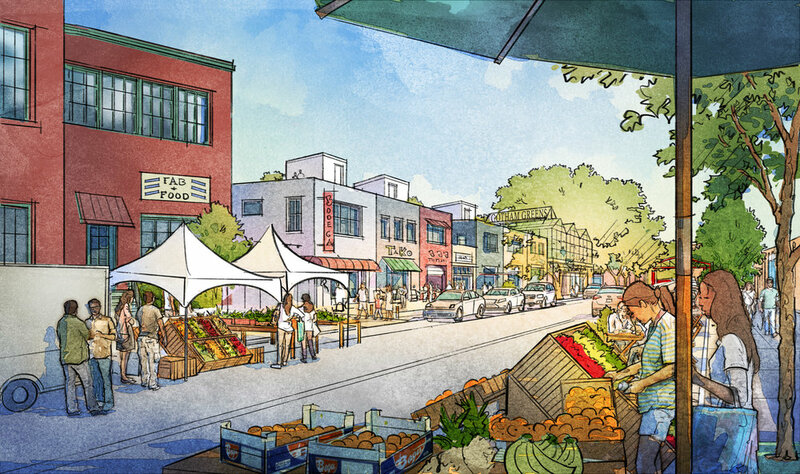 It will be used to guide and prioritize the many investments planned and underway in the Woonasquatucket Corridor, determine other needed investments, visualize what desirable reinvestment looks like, and advocate for and secure resources for implementation.